Researchers from the TU Berlin Chair of Ceramic Materials collaborated with the Federal Institute for Materials Research and Testing to produce complex components from simulated Martian soil for the first time, demonstrating the theoretical possibility of creating stable vessels like vases solely using resources from the red planet. Their results have been published in the open access journal “PLOS One.” Through their approach, the researchers aim to contribute to the research on the long-term exploration of Mars. Ambitious goals: The American space agency NASA, together with its international partners, aims to send the first manned mission to Mars in the 2030s – a journey into the depths of space which will be closely followed by researchers worldwide. A team from the TU Chair of Ceramic Materials in the Institute of Material Science and Technology located in Faculty III - Process Sciences, is also undertaking experiments which focus on a potential trip to Mars. For their publication “Towards the colonization of Mars by in-situ resource utilization: Slip cast ceramics from Martian soil simulant,” the scientists produced complex geometric shapes, such as rings and vases, using “JSC-Mars-1A,” a simulant of Martial soil. The material, modeled after Martial soil or regolith, is of volcanic origin, from the sides of the highest mountain in Hawaii, Mauna Kea. The materials were developed by the NASA Johnson Space Center and made available to the scientific community for so-called in-situ resource utilization, ISRU for short. Its properties simulate those of the Martian regolith. Mars and Earth are between 56 and 401 million kilometers apart. 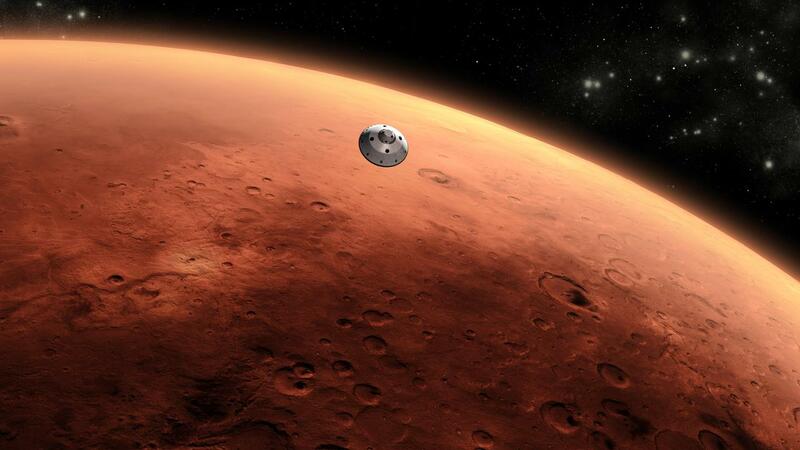 It could take up to eight months to reach Mars, according to current estimates. “In the event of a stay on Mars, it will be important for astronauts to be able to manufacture their own products using local materials. This practice is called in-situ utilization and is the foundation of our trials,” explains David Karl. He and Franz Kamutzki are the project coordinators of the study. Both are research assistants in the team led by the head of Chair, Professor Aleksander Gurlo. “Our ‘Martian ceramic’ is composed of soil chemically similar to that of Mars. We ground the Martian simulant with just water, poured it into a cast, and fired it,” states Kamutzki, describing the approach. “We only used ‘Martian soil,’ plaster, water, and energy – all resources which are present on Mars or can be created. “In the beginning, we put the material through a number of preliminary processes: We heat-treated it and pre-ground and pre-sifted it, added organic additives in the form of dispersants and binding agents, and in the end, determined, that the conceivably easiest version is the most stable,” says Karl. The scientists combined the Martian simulant with water in a ratio of 50:50 and ground it for 48 hours. 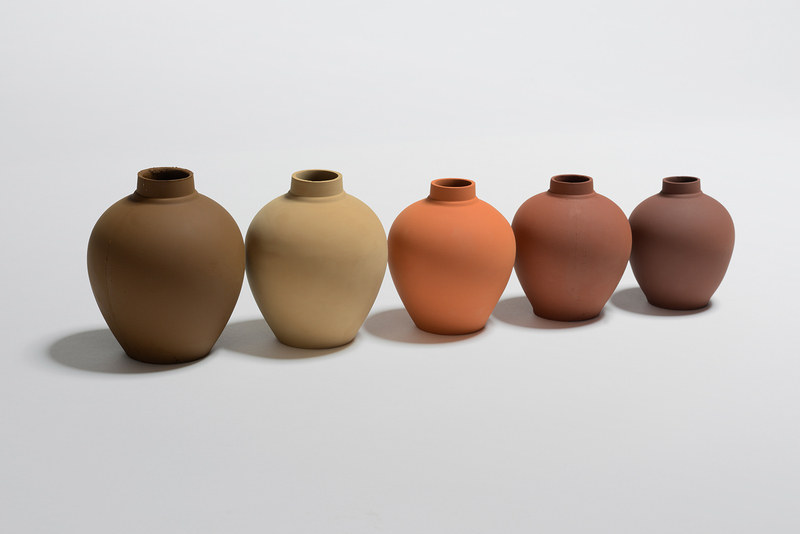 The resulting slip was then poured into casts – like those for vases – and, after a short time, removed, air-dried, and fired at different temperatures ranging from 1000 to 1130 degrees Celsius. The result is ceramic parts which, depending on the firing temperature, show evidence of similar or even higher pressure resistance compared to porcelain. 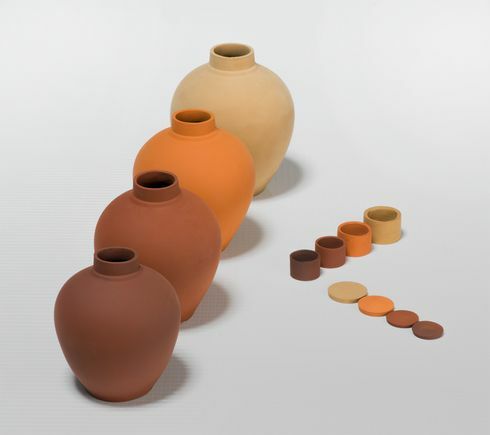 “We were very surprised by the positive mechanic properties of our Martian ceramics – theoretically they are interesting for all applications, for which porcelain and earthenware are currently used: from dishes to technical building components or materials,” says Kamutzki, summarizing the significance of the experiments. The team also emphasizes that many other complex shapes could be produced using the process developed. The slip casting with plaster molds is suitable for the large-series production of items with similar geometry. Currently, the team is working on new processes, in which the developed slip system is being processed through 3D printing. Theoretically, a remote-controlled or fully automatic process would offer the possibility of creating building parts with flexible geometry – even before humans set foot on Mars. The project’s initial results were published in the open access journal “PLOS One”.